The Democratic-controlled U.S. House of Representatives on Tuesday asked a judge to issue a preliminary injunction to prevent President Donald Trump from using funds identified from his national emergency declaration to build a wall along the U.S.-Mexico border, CNN reports. Trump declared a national emergency in mid-February in an attempt to secure more funding to build a barrier, a move that resulted in roughly $6 billion from the Pentagon’s budget and $600 million from the Treasury Department being shifted over to use for the barrier. Trump, House lawyers said, violated the U.S. Constitution with his decision to do so. “The decision to spend funds ‘without Congress’ violates the Appropriations Clause of the U.S. Constitution, which mandates that ‘[n]o Money shall be drawn from the Treasury, but in Consequence of Appropriations made by Law,'” they wrote. Lawmakers earlier in the month only allocated $1.375 billion for the barrier, far less than the $5.7 billion Trump requested. (Reuters) – The American Civil Liberties Union of New Mexico on Thursday called for state authorities to investigate a small group of armed U.S. citizens who they alleged are illegally detaining migrants entering the United States. The United Constitutional Patriots, who claim to be mainly military veterans, have been patrolling the U.S.-Mexico border near Sunland Park, New Mexico, since late February in search of illegal border crossers. They post near daily videos showing members dressed in camouflage and armed with semi-automatic rifles holding groups of migrants, many of them Central American families seeking asylum, until U.S. Border Patrol agents arrive to arrest them. The small volunteer group says it is helping Border Patrol deal with a surge in undocumented migrants but civil rights organizations like the ACLU say it is a “fascist militia organization” operating outside the law. “We cannot allow racist and armed vigilantes to kidnap and detain people seeking asylum,” the ACLU said in a letter to New Mexico Governor Michelle Lujan Grisham and Attorney General Hector Balderas. The offices of Lujan Grisham and Balderas did not respond to requests for comment. 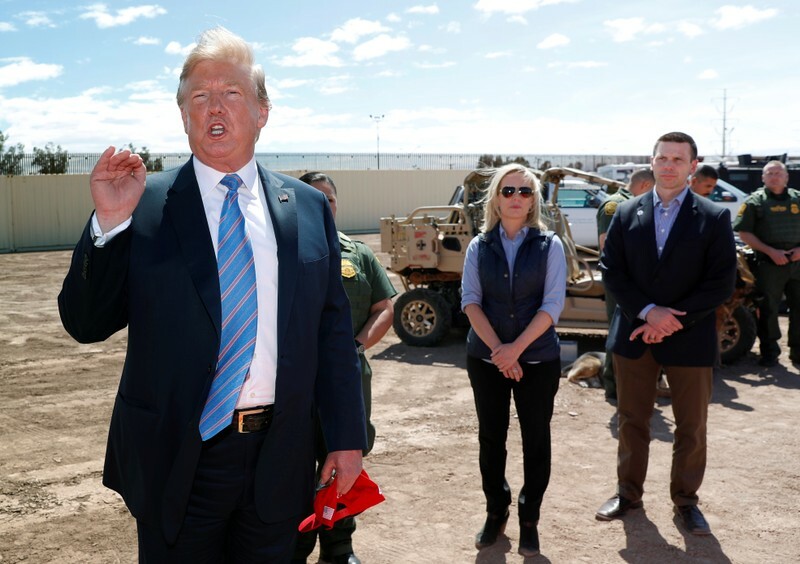 On a March 27 visit to El Paso, Texas, next to Sunland Park, then U.S. Customs and Border Protection (CBP) Commissioner Kevin McAleenan said his agency, which runs U.S. Border Patrol, did not need the help of citizens to police the border. “We are not asking for civil society groups to provide border security assistance,” said McAleenan, who was recently appointed acting secretary of the U.S. Department of Homeland Security. U.S. CBP did not respond to a request for further comment. UCP member John Horton did not immediately return calls. Horton has previously told media that UCP members are armed for self defense, as is their right under U.S. law, and aware they cannot detain people entering the United States illegally. U.S. armed groups have long patrolled the U.S. border, their numbers rising during upticks in migrant apprehensions, such as during the mid 2000s when the Minuteman Project was established. The UCP says it is responding to a rise in migrant arrests to their highest monthly levels in more than a decade. President Donald Trump on Tuesday vetoed a bill passed by Congress to end U.S. military assistance in Saudi Arabia’s war in Yemen. House Speaker Nancy Pelosi’s “puff piece” interview with CBS’ “60 Minutes” failed to hit on major news topics, including the “Mueller No Collusion decision,” President Donald Trump tweeted late Sunday. Pelosi during a wide-ranging interview with “60 Minutes” pushed back on claims the Democratic Party is embracing socialism, described a tense meeting with Trump over the border wall and a government shutdown last year and said she believed Democrats could work with Trump. She also pushed for the release of the Mueller report and said she didn’t trust Attorney General William Barr. “Do you think that the attorney general is covering anything up?” CBS’ Lesley Stahl asked. WASHINGTON (Reuters) – President Donald Trump may have threatened to transport illegal immigrants to so-called sanctuary cities to “make everybody crazy” and generate media attention, Republican U.S. Senator Rick Scott said on Sunday. Trump said on Friday he was considering sending illegal immigrants to sanctuary cities, prompting U.S. mayors to accept such an offer as the battle over border security rages. Sanctuary cities are local jurisdictions that generally give undocumented immigrants safe harbor by refusing to use their resources to help enforce federal immigration laws that could lead to deportations. Many such jurisdictions are Democratic strongholds. 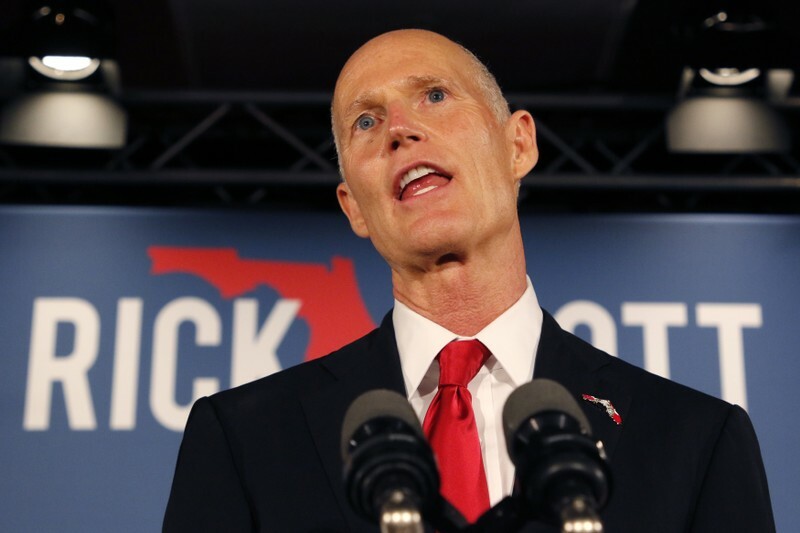 Scott, a former Florida governor who was elected to the U.S. Senate in November, has generally kept his distance from Trump and criticized him in the past over immigration policies and other issues. Frustrated by rising numbers of undocumented immigrants arriving at the southern border and a failure to get Congress to fully fund a U.S.-Mexico border wall, Trump taunted Democrats by dangling the possibility of an influx of illegal immigrants into their communities. On Sunday, Scott said sanctuary cities themselves were illegal and that the administration had to comply with the law in addressing the influx of migrants at the southern border. President Donald Trump is getting his wall built. At least part of it. The Department of Defense on Tuesday said it awarded nearly $1 billion in contracts to Texas-based company SLSCO Ltd. and Montana-based Barnard Construction company to build barriers along the U.S.-Mexico border. 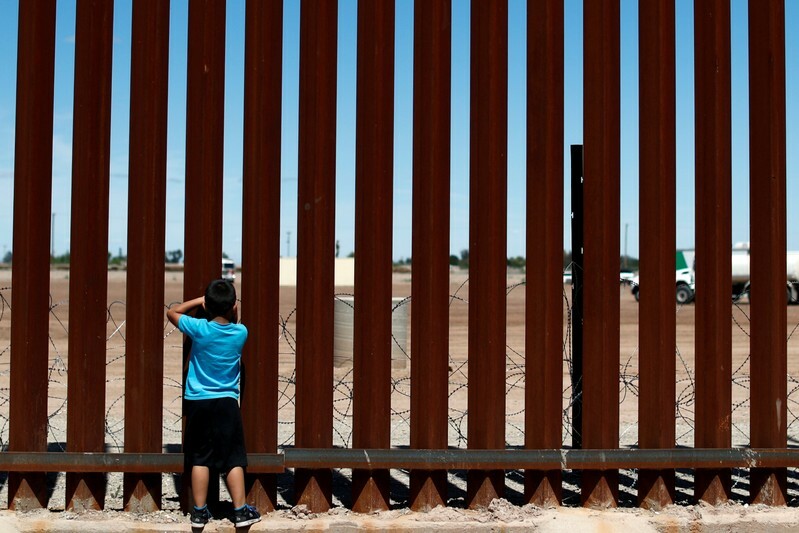 SLSCO was granted $789 million for “border replacement wall construction” in Santa Teresa, New Mexico, located in the El Paso sector of the border, while Barnard was given $187 million for design-bid-build construction project for primary pedestrian wall replacement” in Yuma, Arizona. The funds for both projects, which are expected to be completed by fall 2020, were diverted from the $1 billion the Pentagon repurposed for its counter-narcotics program. The contracts were awarded by the US Army Corps of Engineers. The $1 billion is separate from the $3.6 billion in military construction funds the administration received in funds after Trump declared a national emergency along the U.S.-Mexico border two months ago. WASHINGTON (Reuters) – The White House said on Monday that President Donald Trump would replace the head of the U.S. Secret Service, a day after Trump asked for the resignation of Homeland Security Secretary Kirstjen Nielsen. 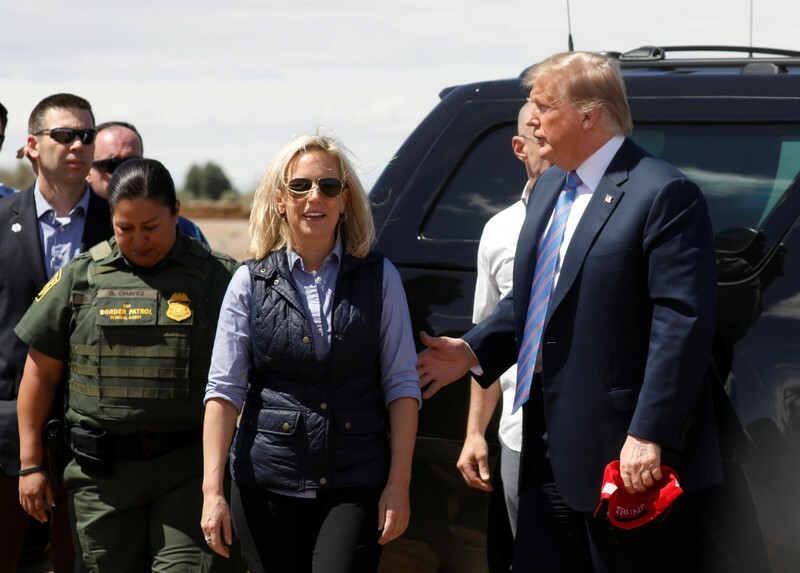 Nielsen and Trump had long clashed over immigration issues, and her departure came amid a surge in migrants from Central America at the southern U.S. border with Mexico. Trump announced on Twitter that Kevin McAleenan, the current U.S. Customs and Border Protection commissioner, would become acting DHS secretary. Randolph “Tex” Alles, the outgoing head of the Secret Service, said he had not been fired but that his departure was part of a broader shake-up of the Department of Homeland Security. The White House said James Murray, a career Secret Service agent, would take over in May. The Secret Service came under scrutiny after a Chinese woman carrying electronic devices was charged with bluffing her way through security checks at Trump’s Mar-a-Lago resort in Florida. Here are some senior figures who have been fired, quit or otherwise changed roles in the administration. Linda McMahon – The Republican fundraiser was one of Trump’s first Cabinet picks. She served as director of the Small Business Administration until March, when she resigned to join Trump’s re-election campaign. Trump nominated U.S. Treasurer Jovita Carranza to the position in April. Clete Willems – A key figure in trade talks with China and a deputy to Trump’s top economic adviser, Larry Kudlow, Willems said in March he wanted to spend more time with his family. Heather Wilson – The U.S. Air Force secretary, considered a top candidate to become the next defense secretary, decided to return to academia. Bill Shine – Eight months after being hired as the White House communications director, he resigned to work on Trump’s re-election campaign. A source close to Trump said the president had lost confidence in the former Fox News executive. Jim Mattis – In a candid resignation letter that laid bare his growing divide with Trump over Syria and Afghanistan policies, the defense secretary abruptly quit, shocking allies and Congress. Trump named Mattis’ deputy, Patrick Shanahan, a former Boeing executive, to the role in an acting capacity soon afterward. Ryan Zinke – Trump’s first interior secretary left at the end of 2018 amid investigations into his use of security details, chartered flights and a real estate deal. John Kelly – A retired Marine Corps general, Kelly was hired as White House chief of staff to bring order to the chaotic Trump White House, but ultimately fell out with his boss. Trump named his budget director, Mick Mulvaney, to the job on an acting basis on Dec. 14. Jeff Sessions – The former Republican U.S. senator from Alabama was finally forced out as attorney general on Nov. 7 after months of being attacked and ridiculed by the president for recusing himself from a special counsel probe into Russian interference in the 2016 presidential election. He was replaced briefly by Matthew Whitaker until William Barr was confirmed to the job. Nikki Haley – The former South Carolina governor stepped down at the end of 2018 as U.S. ambassador to the United Nations. Trump first put forward State Department spokeswoman Heather Nauert as her successor, but she later withdrew. Trump has since nominated Republican donor and U.S. Ambassador to Canada Kelly Craft for the position. Don McGahn – Trump said in August the White House counsel would leave amid strains between the two over the Russia probe. David Shulkin – White House officials said on March 28 that the Veterans Affairs secretary would resign. H.R. McMaster – The national security adviser was replaced on March 22 by John Bolton. Rex Tillerson – The secretary of state was fired by Trump on March 13 after long-standing tension between them. Gary Cohn – The National Economic Council director and former Goldman Sachs president said on March 5 he would resign. Trump picked Larry Kudlow to replace him. Reince Priebus – Replaced as chief of staff by Kelly, Priebus lost Trump’s confidence after setbacks in Congress. Michael Dubke – Resigned as White House communications director in May. James Comey – The FBI director, who led the Russia probe before the special counsel was appointed, was fired by Trump in May. Michael Flynn – Resigned in February as Trump’s national security adviser. Flynn later pleaded guilty to lying to the FBI. Sally Yates – Fired in January by Trump as acting attorney general. 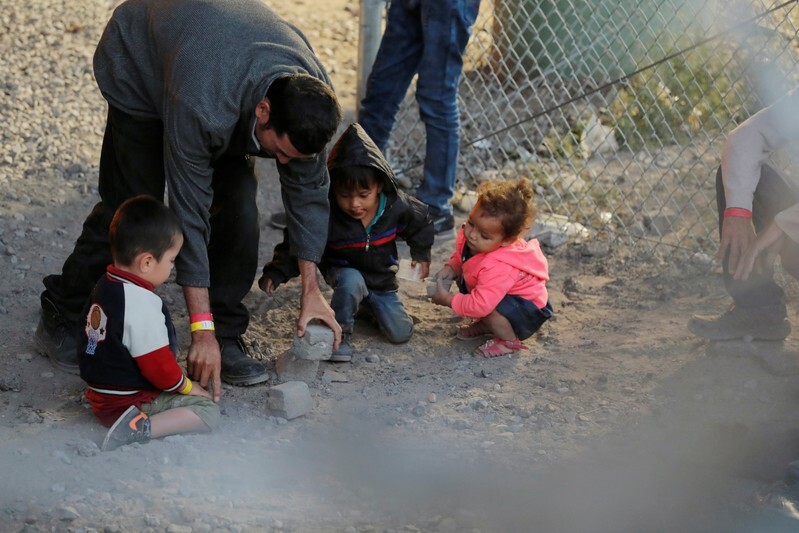 (Reuters) – A U.S. judge on Monday issued an injunction halting the Trump administration’s policy of sending some asylum seekers back across the southern border to wait out their cases in Mexico. The ruling is slated to take effect on Friday, according to the order by U.S. District Judge Richard Seeborg in San Francisco. Amid the wild politicization of immigration, infrastructure, and healthcare in a polarized Washington, there are compromises to be made on both sides, according to former Democratic Party Chair Ed Rendell. “That’s what we need in America right now,” Rendell, the former governor of Pennsylvania, told host John Catsimatidis on “The Cats Roundtable” on 970 AM-N.Y. “We need to do a bipartisan immigration bill. Which means both sides have to compromise. We need to do a bipartisan infrastructure bill, which means both sides are going to have to find a way to fund it and stick by it. Striking a moderate tone with host John Catsimatidis, Rendell acknowledges the need for a border wall and immigration reform, despite Democratic resistance and obstruction. The problem with compromise in Washington is having to give in to the other side that has shown a distaste for the president and his policies, moving beyond legislation to investigation.